Register your child by March 15th to be entered in the early bird draw to receive your registration fee back. Registration deadline for all levels is March 31st, this allows us to finalize teams before the league meetings. Join us for Minor Baseball Day! A bus will be booked to transport teams to and from Telus Field to watch the Prospects game. Parents are welcome to join but will need to purchase their own ticket. Tball will take place every Thursday in May and every Monday & Thursday in June. Please arrive at Diamond #2 at 5:50. 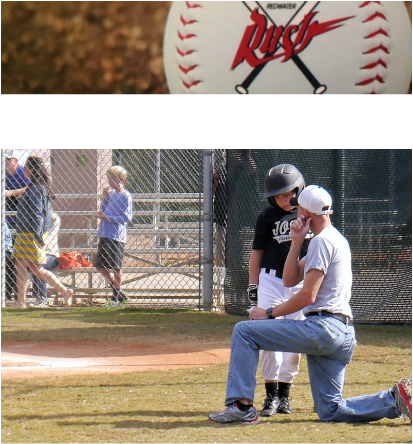 Tball runs from 6-7pm. Dates of practices and games will be decided in April after league meetings have created a game schedule. Home games will likely be Friday nights. 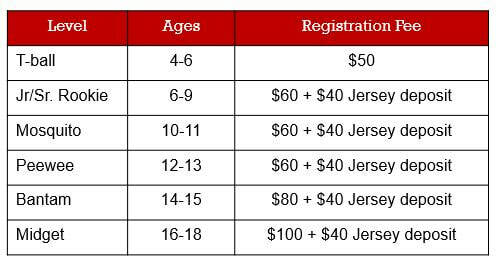 Late registrations may be accepted with a $10 fee as player/team insurance will have to be resubmitted after the deadline. ​This deadline allows for time to insure players, order equipment, and finalize teams, managers and coaches. We are looking for two more members to join our executive. ​Please email pres@redwaterminorball.com if you are interested in volunteering. We could use someone to take care of advertising, chalk diamonds before games and someone to manage umpires. Thanks Shawna Beckett for taking our team and individual photos! 37 Redwater Rush Players/Parents and Coaches were able to cheer on the Edmonton Prospects. Coach Colin Mazurenko even entertained us with between inning entertainment as he participated in a race on the field with other minor ball coaches. Thank you Shelly Michaluk for driving us to the game! The following order form will be sent home with every athlete at their first practice. Submit your order to your team manager by March 30th so that it is here by our first games. 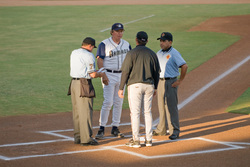 The season generally runs from mid to end of April to the end of June with games being played in May and June. Typically, games are played on weekday evenings only. 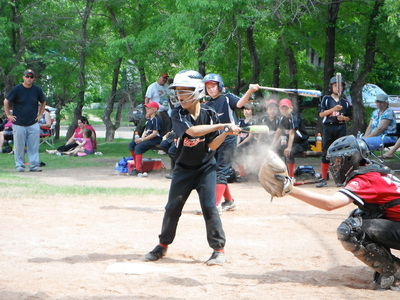 The year end tournament is the only weekend we play ball unless your team enters a tournament. 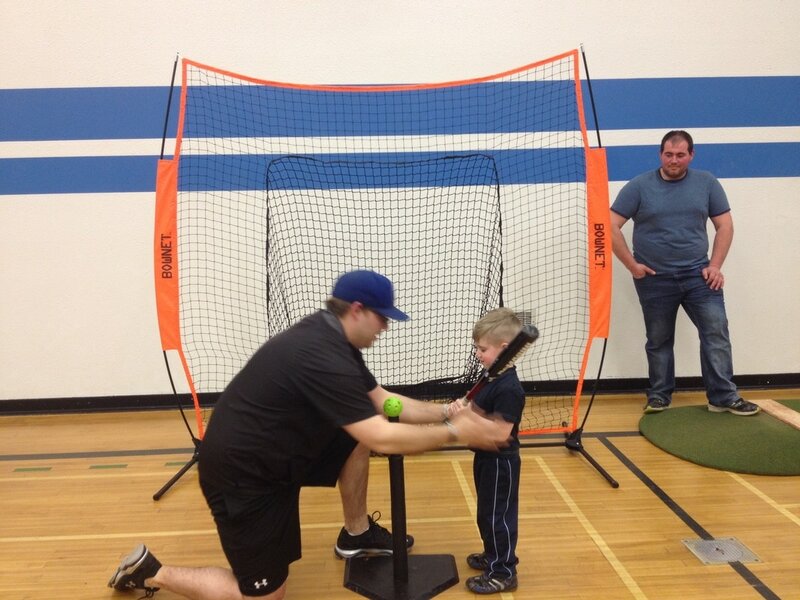 T-Ball will include a Softball Alberta “Learn to Play” T-shirt for the players to keep. All teams need Coaches and Managers. Please think about volunteering your time to help out your child’s team. Teams will not play without Coaches or Managers. 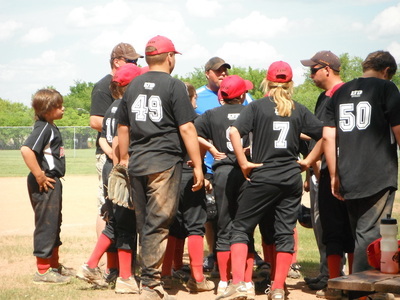 Redwater Minor Ball will make resources available to aid any Coaches who ask for help. Redwater Minor Ball will once again be supplying the major equipment to play ball; bats, balls, bases, helmets etc. The kids will be responsible for bringing their own ball gloves. Cleats are optional but highly recommended. Helmets will be supplied, but for hygienic reasons, we recommend that each player bring their own properly fitting CSA approved helmet. All kids should wear black sweat pants or black baseball pants for games. Some kids have purchased red belts and socks, these are also optional.